Chandra Prabha Ubtan is an outstanding ayurvedic face pack that consists of pure herbs in unrefined form so that significant benefits could be accomplished. This herbal face pack can rectify the everyday skin issues like acne, pimples, blemishes, dark spots, wrinkles, dark circles, scars, etc. If you apply this on your face for a regular interval you will notice remarkable changes within that even the allopathic medicines cannot bring. This is because artificial substances tend to just suppress the symptoms as long as you take or use them; else the symptoms are again seen with the course stoppage. On the other hand, ayurvedic face pack like Chandra Prabha Ubtan can bring permanent outcomes, no matter since how long you have been facing the issue. 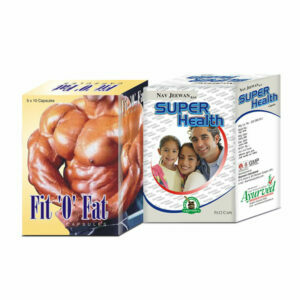 Herbal components always provide long term solution, though are slow in generating. Aloe Vera moisturising gel consists of pure aloe vera extracts that can provide you clear, youthful, glowing and acne free skin. 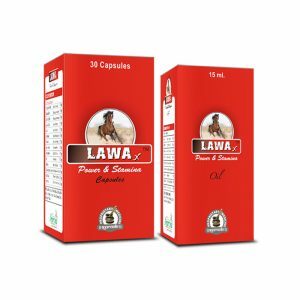 This is a natural product and therefore has ability to provide relief from cuts and burns as well. 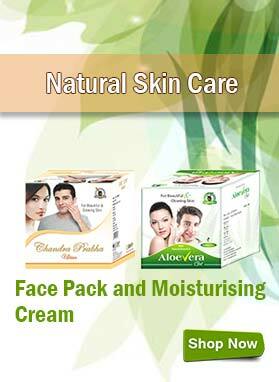 This is possible due to the presence of aloe vera herb which itself has the skin healing property. Its combination with Chandra Prabha Ubtan will leave you breathless and you will find the kind of solution that you never noticed in anybody. Do Chandra Prabha Ubtan and Aloe Vera gel cause any side effects? Chandra Prabha Ubtan and Aloe Vera gel both are made up of using natural extracts cautiously taken from plants and that makes them both highly safe for use. How long do I need to use this ayurvedic face pack and moisturising gel? You might take 3 to 4 months or even less or more than this time duration while using this ayurvedic face pack and moisturising gel because it all depends on the condition of your skin at present and the bodily reaction that you are going to receive. How to use this herbal face pack and moisturizing gel? 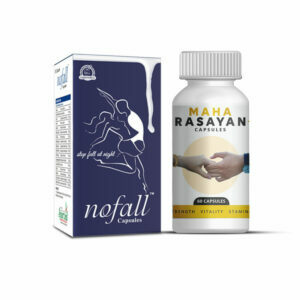 For Chandra Prabha Ubtan: In case of acne, pimples, scars, blemishes, etc. take 3 to 5 gm of this ayurvedic face pack and mix it with small amount of milk or yogurt. Rub this on the affected part for about 5 minutes and leave for 15 minutes. Now scrub well and wash with plain water. In case of using this as anti-aging, fairness, wrinkles, etc. take 3 to 5 gm of this herbal face pack and mix that with rose water. Rub it on the affected area for 5 minutes and leave for 15 minutes. After that scrub the face and wash it off with plain water thoroughly. For Aloe Vera gel: Apply this moisturizing gel one or two times daily for about 3 to 4 months to get optimum results. 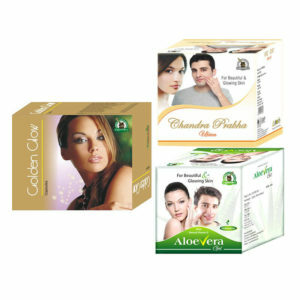 What is the preferred diet during the course of this herbal face pack and moisturizing gel? Stay away from spicy and oily food and drink lots of water and other citrus fruit juices in their fresh form. Also have plenty of fruits and vegetables on daily basis. How can I buy Chandra Prabha Ubtan and Aloe Vera gel in India and from where? Pick the required quantity of products in which you are interested the most. Click the Buy Now button. Fill all essential billing details such as name, address, email, contact number, etc. and check them carefully. For advanced payment options, send us the information regarding your payment through email or text message. We will soon dispatch your parcel after getting the confirmation regarding the payment. You will receive your parcel packed in a discreet manner. This is done to maintain the privacy of our customers. In about three to five business days you will probably get your product. I use Aloe Vera gel on daily basis and use Chandra Prabha ubtan once a week. Their combination has stolen the show and I am always in the limelight whenever I attend some parties. I do not even require to put on much make-up. Just a natural touch do the trick. I am so thankful to its manufacturers, really! Both products are good. Previously I used sunscreen but now I use Aloe Vera gel as cream before going to work. After returning home from work I again wash my face and apply this moisturizing gel after that. I use Chandra Prabha face pack twice in a week. My blemishes seem to fade this days. I do not develop acne now. My sister was going to get married after 5 months but she was worried regarding the dark circles and scars on her face. So, I gifted her the combo pack of Chandra Prabha ubtan and Aloe Vera gel. 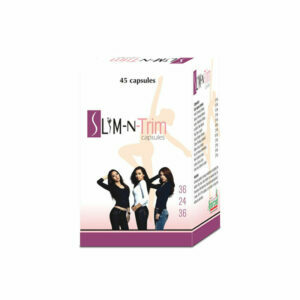 Now after using these products for 1 month only she can feel the changes. All the skin problems have reduced and her skin also looks glowing. She is very happy and so I am. These products are really worth purchasing. 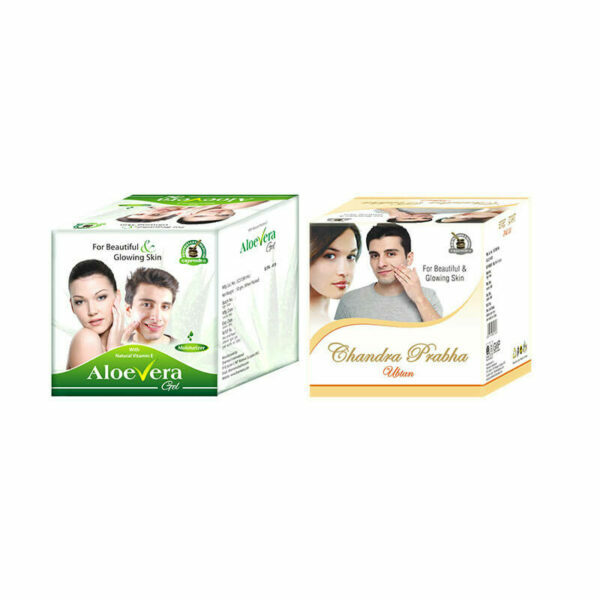 I used this combo pack of Chandra Prabha ubtan and Aloe Vera gel for 3 months in a regular manner. Now the results are just outstanding. The wrinkles have reduced considerably and pimples are also getting eliminated. I previously thought these products are for women only but after knowing that these can be used by men also I decided to buy these products. Now at last I am very happy with my decision. My wife is using the combo pack of Chandra Prabha ubtan and Aloe Vera gel from past 2 months. She is super happy with the improvements in her skin. The dark spots on her face have greatly reduced and her face looks youthful now. These products are just amazing.